Protect yourself and your property! Intruder alarms are an absolute necessity for any home or business – they will help protect your property and ensure your safety. Intruder Alarms allow you to become aware when someone has entered, or tried to gain entry, to your property without your permission. 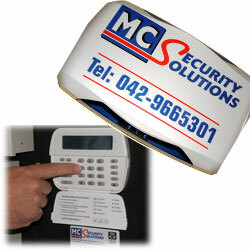 At MC Security Solutions, we provide the very best in security solutions to ensure your peace of mind. We use the best available industry leading brands, ensuring the most up-to-date and versatile available on the market today.